Castle Welding have now moved into a third year of CE certification. We have now added stainless TIG welding to our structural welding scope. This means that we can produce structural stainless steel now as well as the standard mild steel. We look forward to new interesting projects this will enable us to embark on. 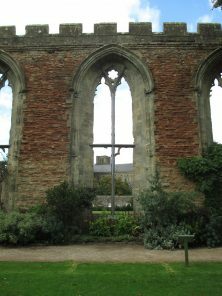 Previous stainless work has included work at The Bishops’ Palace in Wells, where our stainless steel can be found cleverly supporting the beautiful curtain wall windows. You will have to look closely from behind though as it has been designed by the architect to merge with the stonework. In contrast we can produce stainless and glass balconies and staircases for the most up to date homes.